Trunking is a hollow enclosure through which cables or pipe can be run to keep them protected and organized. Removable covers allow quick and convenient access for routine inspections or repairs. Often used where durability is paramount, steel trunking is remarkably strong. As a protective casing it is an ideal material. Steel trunking is often more popular for commercial projects due to its heavy nature. 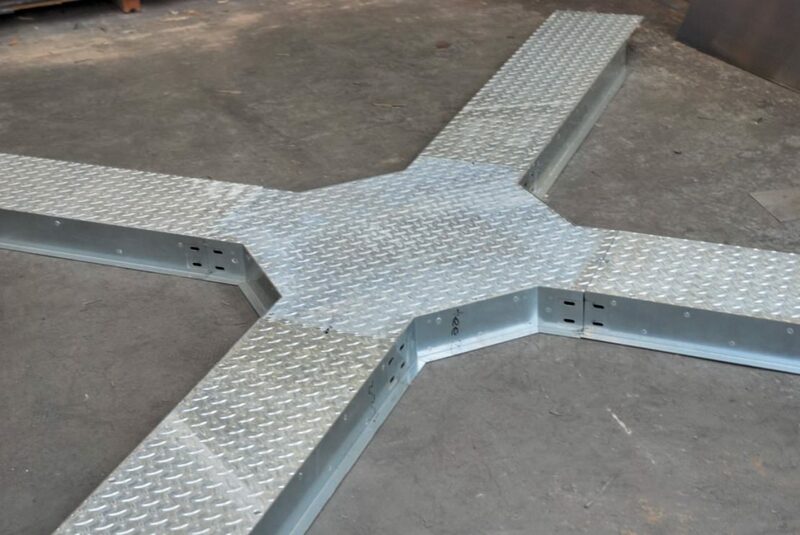 Compared to other materials such as plastic, steel can be used more heavy footfall areas or be fitted within the floor itself. When is steel trunking required? Steel Trunking is an ideal solution for public areas where there is a high footfall. Its mechanical strength makes it a robust and durable solution. Steel trunking can be used to protect cables and pipes. Perfect for situations where protection is paramount but access is also required. The other benefit of steel trunking is that it is robust enough to be used for flush floor trunking systems. Floor trunking is essential in many public or commercial buildings. The trunking works by encasing cables or pipework beneath the flooring, protecting them from damage. The best way to utilise steel trunking is to fit it within the floor itself producing a level finish to the flooring. This provides a safe and discrete cable management solution. Ducting covers can then be included to provide both access for servicing or repair. There are two ways to fit the trunking, either within the screed, or by leaving apertures for installation at a later date.